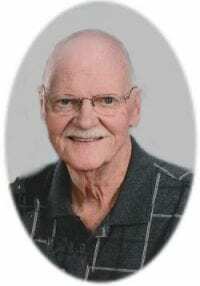 Charles Elmer Nash, age 78, of Blairsville, Georgia passed away Sunday April 23, 2017 at his residence. He was born October 2, 1938, to Horace Junior Nash and Vera Bell Gilleland Nash. Charles was a Sales Rep and retired from 3M Company after 35 years of service at age 55. He was a member of Snellville Lions Club and Blairsville Lions Club holding several offices in each. He was an avid fisherman, golfer, and loved reading books for fun and knowledge and loved camping. His hobbies included creating beautiful stain glass works and painting. He was a member of Coosa United Methodist Church and sang in the church choir. He grew up in Snellville, GA. and moved to Birmingham, Alabama in 1966 til 2000 when he moved to Blairsville, GA. He is preceded in death by his parents, his brother Norman Nash, Sister Jeanne Fuller and sister-in-law Gail Tanner Nash. He is survived by his loving wife of sixty and a half years, Patricia Ashworth Nash, sons and daughter-in-laws Michael and Sherry Nash of Bessemer, AL., Jeffrey and Kathy Nash of Laguna Niguel, CA., Tony and Shawn Nash of Bessemer , AL., brother, Roger Nash of Snellville, GA., sister-in-law Charlotte Nash of Loganville, GA. and brother-in-law Henry Fuller of Snellville, GA. Nine grand-children, Josh Nash, Michelle and husband Jamie Berry, Stephanie Nash, Allison Nash, Jake Nash, Meghan Ryan, Caitlin Ryan, Aidan Ryan and Gwyneth Ryan and nieces and nephews.